He was preceded in death by his first wife Jane Grizzard Whatley, parents William Biggers Whatley and Merle Woods Whatley, his brothers William Biggers Whatley, Jr. and Forest Woods Whatley. He is survived by his wife of 55 years, Mary Frances; his three children, Beth (Doug) Taylor, Ginger Whatley, Barry (Leigh) Whatley; his eight grandchildren Ryann (Bryan) Stone, Douglas (Kristin) Taylor, Sam Cowles, Josh Cowles, Mary Landon Whatley, Ellie Whatley, Thomas Whatley III and Wyatt Whatley; his three great-grandchildren Charlotte Taylor, Douglas Taylor, Mac Stone; his dog Herbie. Barry graduated from Cliff High School in 1950 where he was in the R.O.T.C. He lettered in football, basketball and baseball for 3 years and began a life-long love of golf. He eventually became a scratch golfer. He earned his undergraduate degree at The University of Alabama in 1953 followed by his Doctorate in Dental Medicine in 1957 from The University of Alabama in Birmingham. For two years following graduation he was stationed at Eglin Air Force base as a Captain in the U.S. Air Force, where he played on the Command Golf Team. He then returned to Opelika where he practiced Dentistry for the next 50 years. He was a lifetime member of Trinity United Methodist Church where he served faithfully and was a founding member of The Amazing Grace Sunday School Class. He was very active in Lee Academy and later Lee-Scott Academy where he served as Chairman of the Board of Trustees of both schools and was instrumental in the merger of the two schools. He lived on his farm, Sawtooth, in Chambers County for the past 16 years. He shared his love of hunting with friends and family and was an accomplished wood carver. He had a love for piloting small planes, “not smoking cigars” and sitting in his golf cart watching the birds on his dove field. Most of all, he loved his family and felt it was his greatest achievement. He said many times that the Lord had certainly blessed him and “What a wonderful and fantastic journey” his life had been. Visitation was held Saturday, February 2, 2019 at 5:00 p.m. until 7:00 p.m. in the Fellowship Hall of Trinity United Methodist Church. 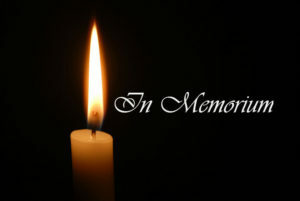 There was a Memorial Service on Sunday, February 3, 2019 at 2:30 p.m. at Trinity United Methodist Church with Reverend Earl Ballard officiating. There was a family graveside service at Garden Hills Cemetery prior to the memorial service. Honorary Pallbearers are Jim Whatley, Bill Whatley, Steve Whatley, Forest Whatley, James Graham, Warren Whatley, Bruce Graham, Robert McCullough, Robb Borden, Bubba Dean and Graves Lovell. In lieu of flowers, the family requests that donations be made to the Trinity United Methodist Church building fund 800 2nd Avenue Opelika, AL 36801.